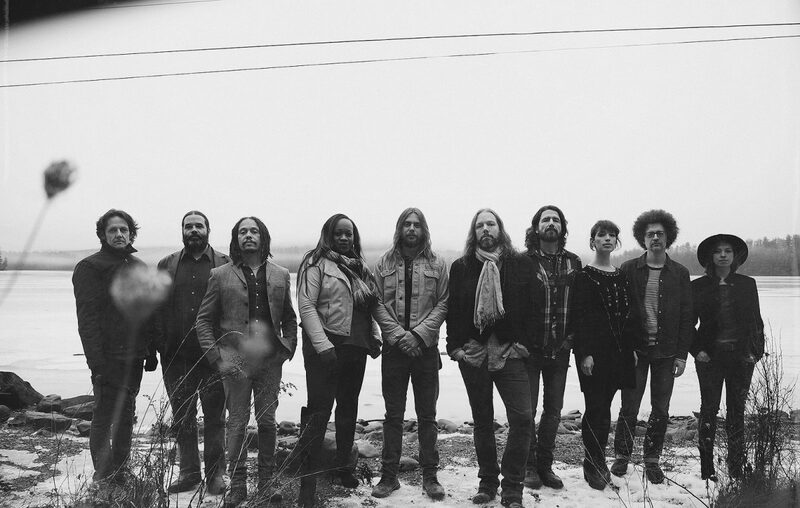 In 2003, I took in a sparsely attended show at the Evening Star Concert Hall in Niagara Falls featuring a band called Hookah Brown – a fiery quartet led by erstwhile Black Crowes guitarist and co-founder Rich Robinson. I chatted with Robinson on the bus after that show, and found him to be exactly what, by every account I've come across, he is a mellow, down-to-earth, warm, engaging dude. Hookah Brown's singer was John Hogg, and he sang with an incredible range and an eminent soulfulness throughout that gig. Robinson would go on to work with his brother Chris in the Black Crowes over the coming years, and Hookah Brown went the way of a one-off side-project. But in 2015, the Crowes split for good, and it was my hope that Rich would turn his attention back to Hookah Brown. He went me one better than that, as it turns out. Robinson formed the Magpie Salute, a powerhouse of a big-band that includes his former Crowes partners Marc Ford (guitar) and Sven Pipien (bass). Oh, and out front, on the lead vocal mic? None other than Hookah Brown's Hogg.